Christmas cards arent as common these days with so much being online. I still like to send family a photo Christmas card. I usually add a magnet strip to the back to it's easily put on the fridge. 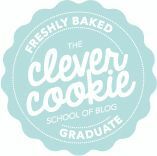 However if you are like myself and you don't like anything on your fridge you may look for other ways to display your cards. Here are some creative ideas you can make and bring out when you decorate the house and/or put up your Christmas tree. 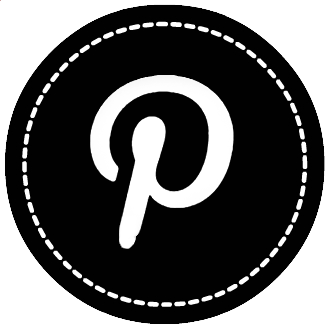 1) Peg & Ribbon Garland - Simple choose some ribbon, hang and attach cards with pegs. 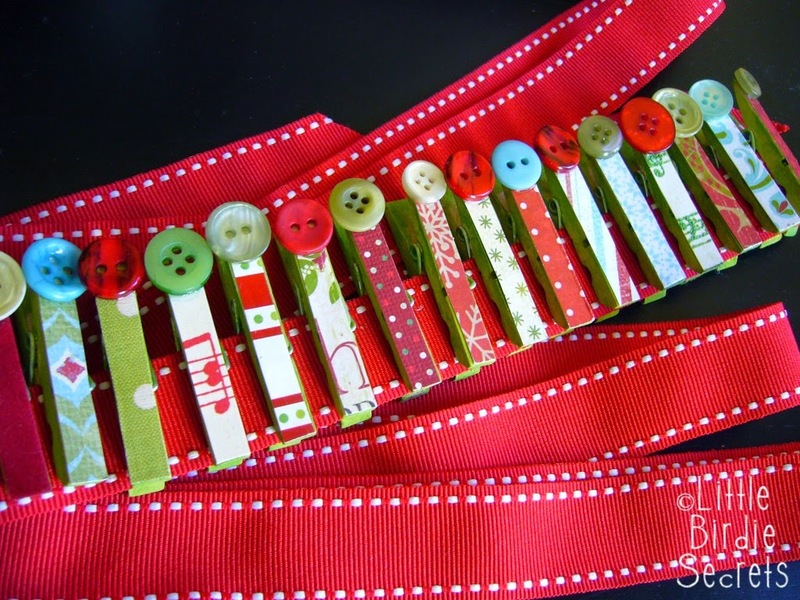 These pegs have been decorated for a Christmas look. 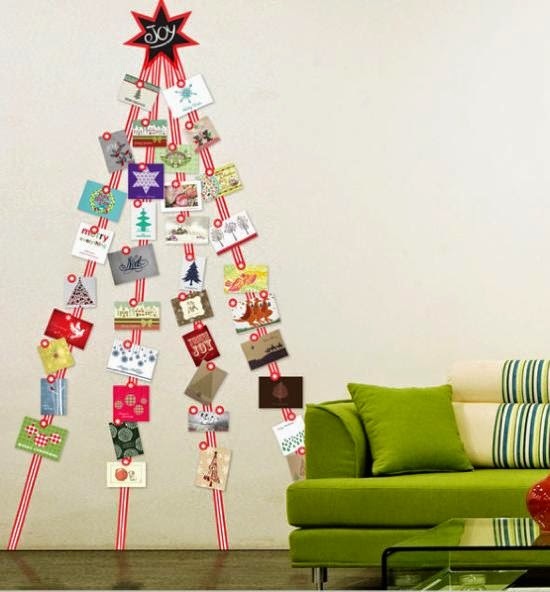 2) Simple Washi Tape Tree - Use Washi tape to create the shape of a Christmas tree. 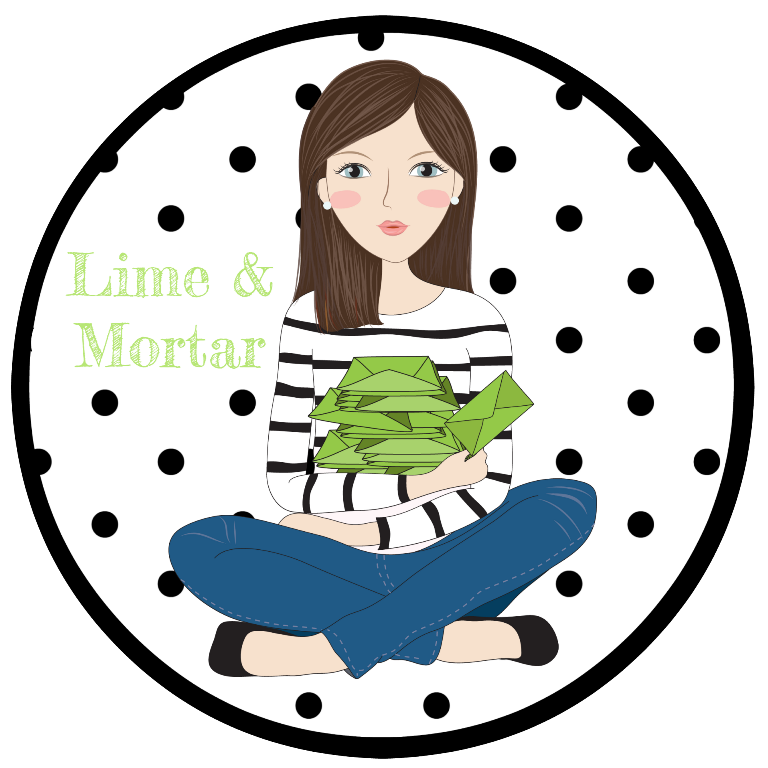 Add cards using stickers or more washi tape. 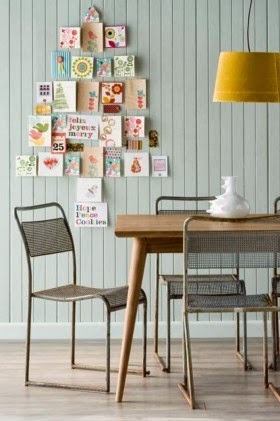 3) Tree Arrangement - Arrange Christmas cards in the shape of a tree on the wall. 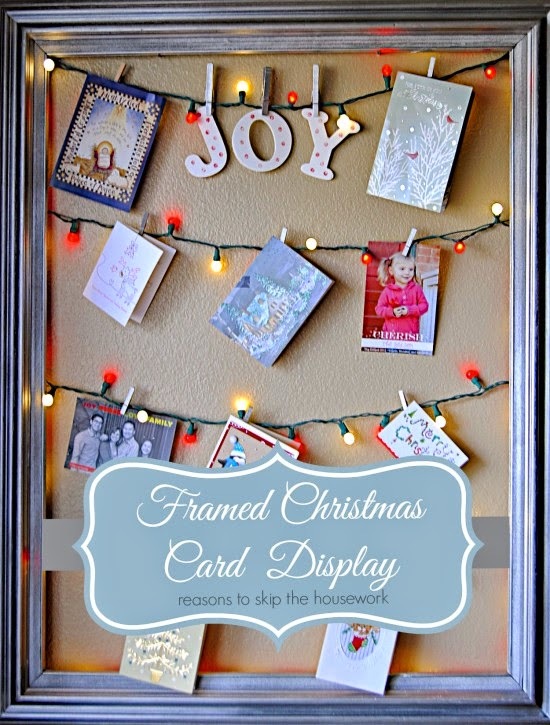 4) Framed Cards - Use an old large frame... attach string/ribbon/lights then use mini pegs to attach the cards. 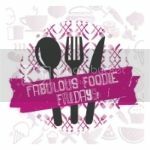 I'm loving this ideas as its easy to bring out at Christmas time but could also be used at birthdays too. 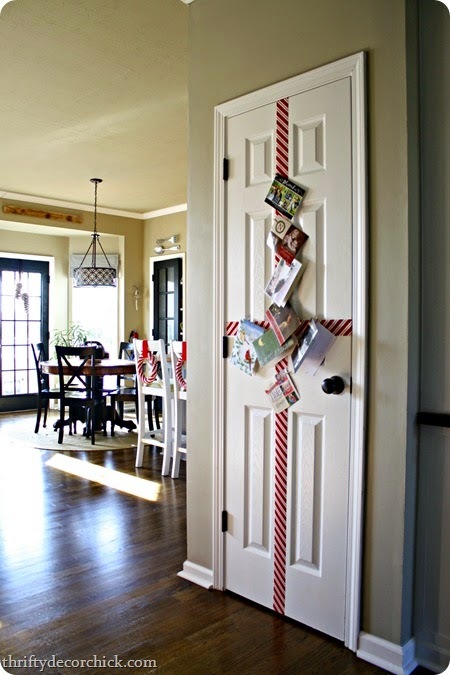 5) Present Door - Attach ribbon to the door to look like a present. Then attach cards along the ribbon. Ideally use a door that remains closed in the day. 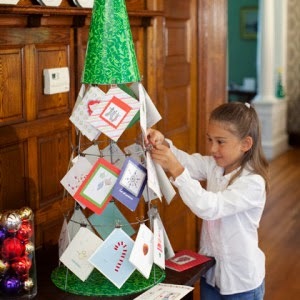 6) Trellis Tree - Use a tomato trellis, cover top in cardboard and create a base. Use clips or pegs attach the cards the the exposed wire. 7) Fancy Washi Tape Tree - This one has used wape tape to attach string/wire to the wall which you can then clip/peg cards too. There is added tinsel and pot. Click to be taken to see a closer photo. 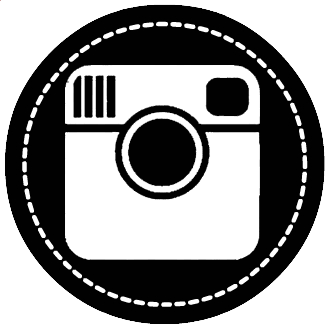 ** Click images to be taken to the original source. I think im going to make something i use bring out with the Christmas decorations each year and add any cards i may receive to it. Otherwise i may use the new ledges in the kids activity room. 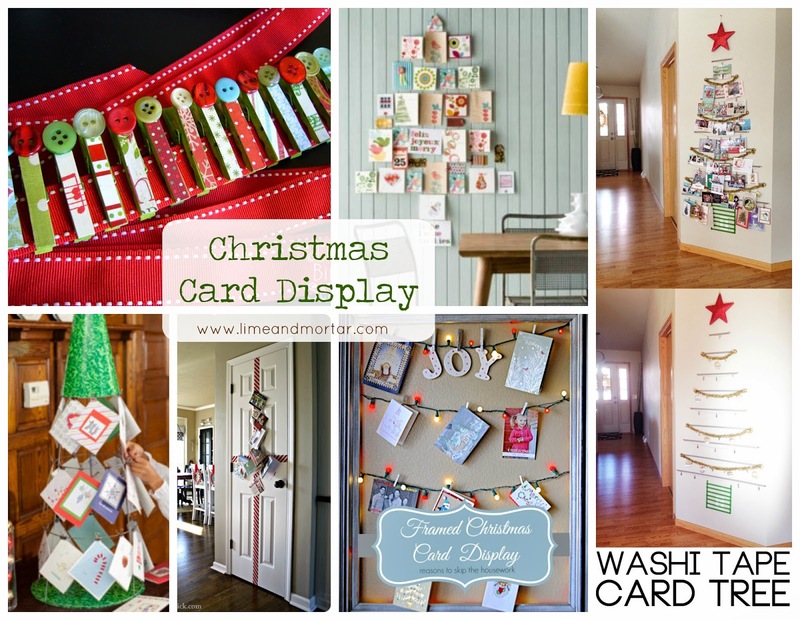 How do you display your Christmas Cards?? you're right, everything is online now.